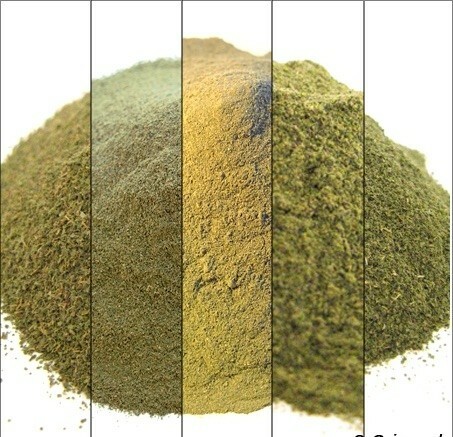 There are lots of different stories about Maeng Da Kratom, but it appears to be a natural variation of the plant. The leaves have points on them instead of being smooth. Supposedly 1 in 1,000 trees will produce the different leaves and some trees will even produce both types of leaves. The exact reason isn't well-known yet, but it general makes for a more alkaloid-rich leaf. Maeng da kratom has a distinctive energy to it that is reminiscent of Thai Kratom. The leaves of the Maeng Da Kratom plant are clearly distinct from other Kratom leaves, having a serrated rather than a flat edge. Our Maeng Da is imported from Malaysia and is finely ground.